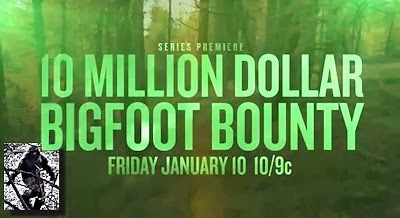 The worlds of Bigfoot and science collide tonight with the premiere of Spike TV's "Ten Million Dollar Bigfoot Bounty." Actor Dean Cain hosts and leads an ambitious expedition to the Pacific Northwest of America to try and discover the elusive tall, hairy creature known as Bigfoot, aka Sasquatch. "Before the show, I was extremely skeptical, however hopeful," Cain, 47, told The Huffington Post. "Then I started doing research and found that we discover as many as 15,000 new species every year, on average, in the United States. They're usually insects and sometimes primates. There's a lot of things to be discovered that we have not laid our eyes upon." Spike TV assembled nine teams of hunters of varying skills and experience for the programs. Certainly the big lure for these teams -- each comprised of two people -- is the financial holy grail at the end of the eight week-long series: $10 million for irrefutable proof of Bigfoot's existence. The prize, underwritten by Lloyd's of London, is one of the largest cash prizes ever offered in TV history.